There’s nothing more Italian than meatballs, pasta, and enjoying them with family and friends. 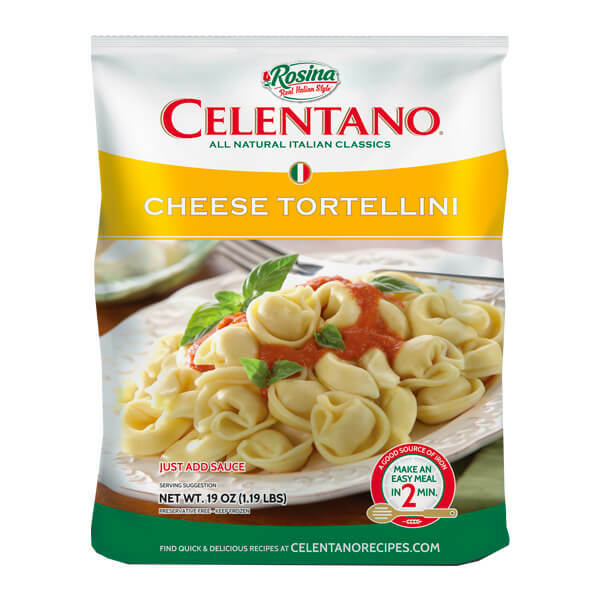 For more than 50 years, that’s been at the heart of Rosina Food Products – a family-owned company, honoring a real Italian family tradition, to bring you real Italian goodness. 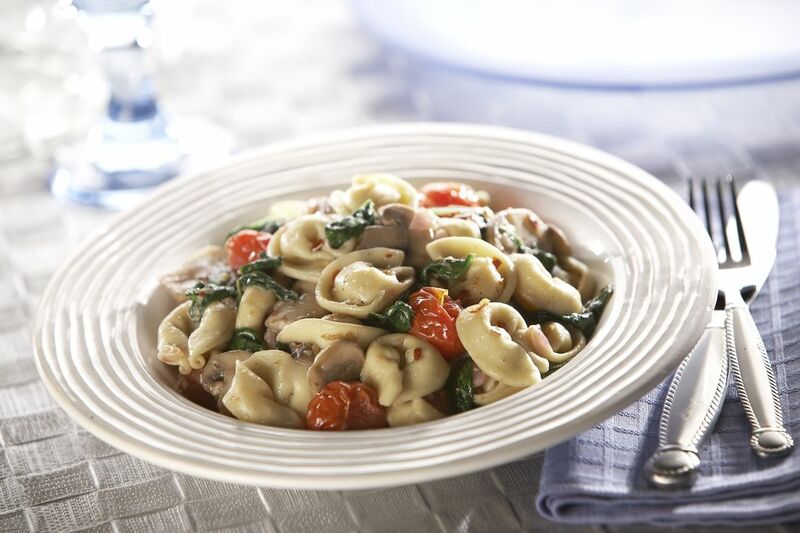 Whether you’re enjoying a great meal at home, lunch at the office, even dinner at your favorite restaurant, you’ll find the Real Italian Style of the brands of Rosina Food Products, delicious, nutritious, and easy-to-prepare. Take a peek at some of our most popular products, or click on the pictures to learn more! Rosina offers six varieties of meatballs including its traditional Italian Style. Made with a blend of beef, pork, and chicken. 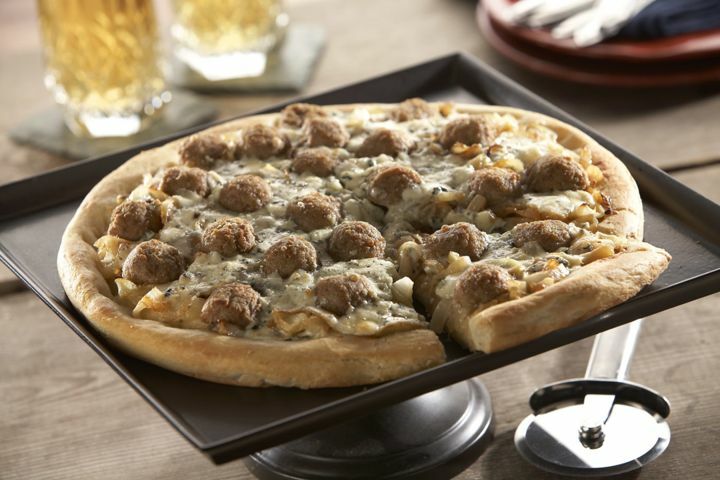 Rosina Italian Style meatballs are oven-baked for a healthier choice. 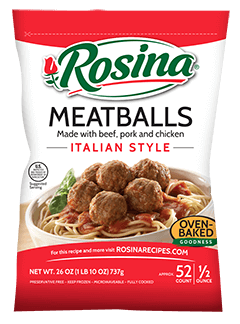 Rosina offers six varieties of meatballs including Homestyle. 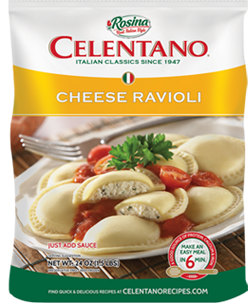 Made with beef, pork, chicken and the right amount of Romano cheese. 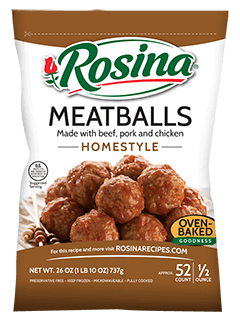 Rosina Homestyle meatballs are oven-baked for a healthier choice. 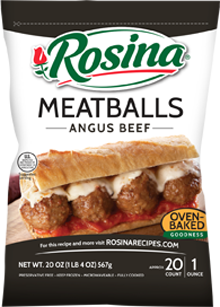 Rosina offers six varieties of meatballs including its Angus Beef meatballs. Made with 100% USDA Premium Angus Beef. These 1 oz. meatballs are oven-baked for a healthier choice. Rosina offers six varieties of meatballs including Gluten Free Italian Style. 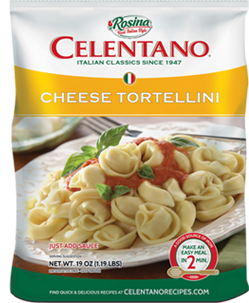 Made with beef, pork and chicken, and imported Pecorino Romano cheese. 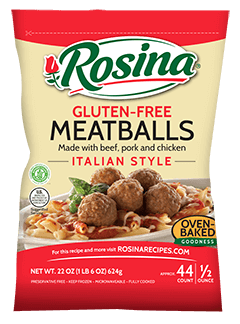 Rosina Gluten Free meatballs are oven-baked for a healthier choice. 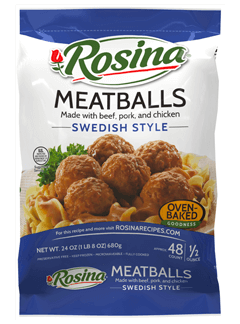 Rosina offers six varieties of meatballs including Swedish. Made with a blend of the finest beef and pork, perfectly seasoned with hints of nutmeg and allspice. 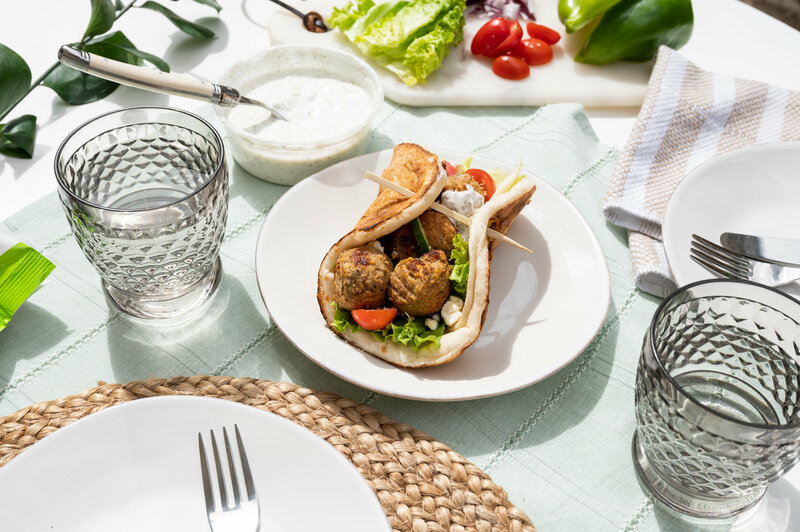 Rosina Swedish meatballs are oven-baked for a healthier choice..
Rosina offers six varieties of meatballs including Turkey. 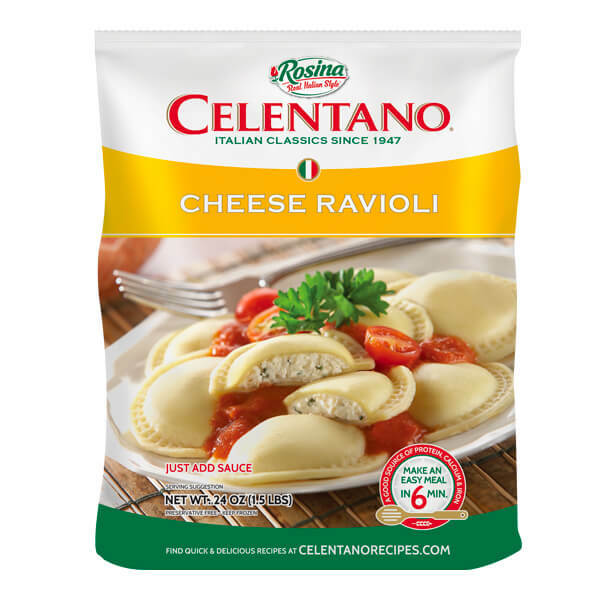 These meatballs are made from the finest ingredients including Turkey, Romano cheese and Italian spices. 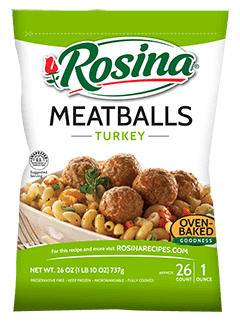 Rosina Turkey meatballs are oven baked for a healthier choice. 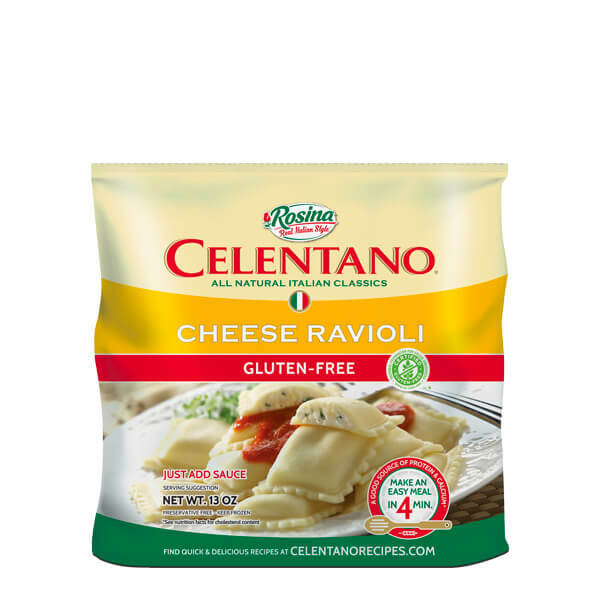 Our Gluten Free Cheese Ravioli is a tender freshly made pasta stuffed with a cheese blend delicately spiced to perfection. 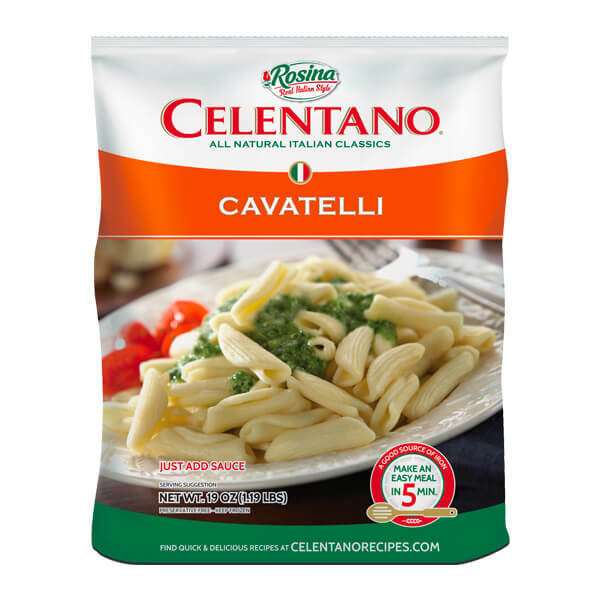 Our Cavatelli product is made with high quality ingredients such as finely milled fancy enriched Durum flour, Grade A eggs and all 100% artificial free colored dough. 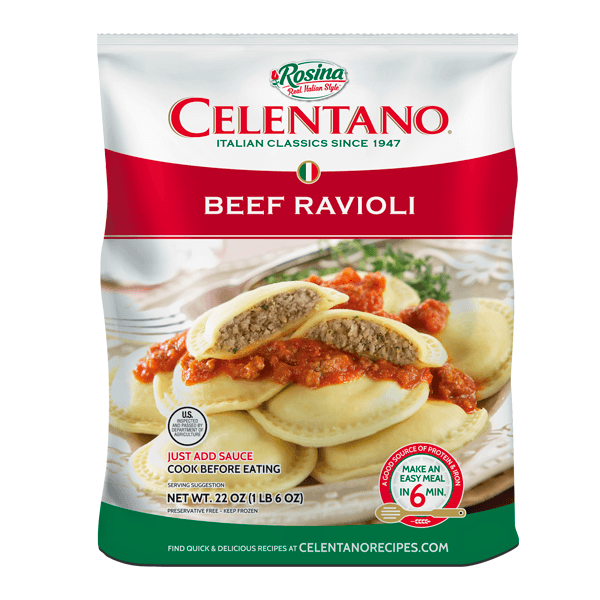 Our Large Round Beef Ravioli are tender and freshly made stuffed with a beef blend filling that is delicately spiced to perfection. Easy access to hundreds of delicious, easy-to-prepare meatball and pasta recipes – featuring appetizers, soups, sandwiches, entrées, and more! 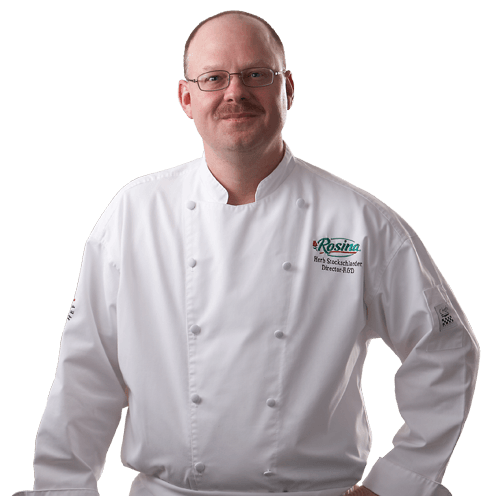 The members of our Culinary team, led by Chef Herb Stockschlaeder, are dedicated to delivering real Italian goodness to consumers and foodservice clients alike. 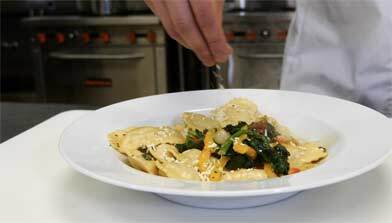 Check out our new foodservice recipe videos, featuring Corporate Chefs from our Rosina Culinary Team. In just a few minutes you’ll learn how to prepare the latest in culinary-inspired goodness featuring the full line of Rosina products.